HI, JERRY AND I LIVE OUTSIDE OF FOREST CITY IOWA.WE HAVE BEEN MARRIED FOR OVER 40 YEARS, AND HAVE 3 CHILDREN AND 5 GRANDCHILDREN, AND HAVE HAD THE PRIVILEGE OF RAISING PUPPIES FOR OVER 24 YEARS. 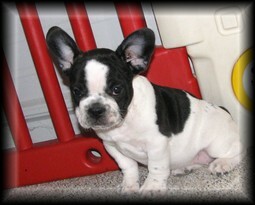 WE STARTED OUT RAISING BOSTON TERRIERS(my favorite) AND THEN ADDED THE FRENCHIES(Jerry's favorite). 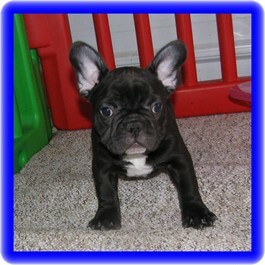 WE GOT THE IDEA TO CROSS THE FRENCHIE WITH THE BOSTON TO HAVE THE BEST OF BOTH BREEDS AT A MORE AFFORDABLE PRICE THAN THE FRENCHIES. WE CALL THIS BREED FREEDOM BULLDOGS, AND THEY ARE THE SWEETEST LITTLE DOGS!!!! 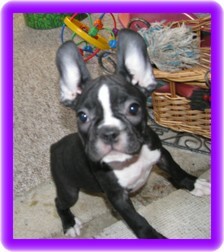 SOME HAVE THE MARKINGS OF A FRENCHIE AND SOME THE MARKINGS OF A BOSTON, AND SOME ARE JUST A NICE BLEND OF BOTH BREEDS. 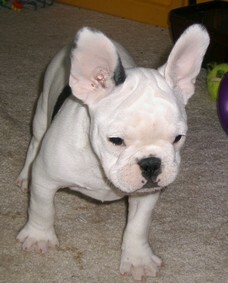 WE ONLY BREED FRENCHIES, BOSTONS AND FREEDOM BULLDOGS. WE ABSOLUTELY BELIEVE YOU SHOULD ONLY HAVE DOGS THAT YOU TRULY LOVE. WE ARE A KENNEL, NOT A PUPPYMILL. WE LOVE AND CARE FOR ALL OUR DOGS, AND THEY GET LOVE AND ATTENTION ON A DAILY BASIS. WE HAVE HAD MANY PEOPLE TAKE ONE OF OUR PUPPIES INTO THEIR HOME, AND THEN COME BACK AND ADD ANOTHER OF OUR PUPPIES TO THEIR HOME A YEAR OR SO LATER. 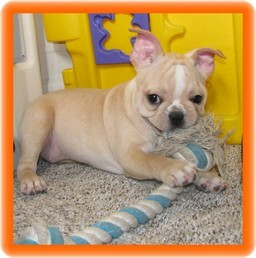 ALL OUR PUPPIES ARE WELL SOCIALIZED, HAPPY, HEALTHY PUPPIES. THEY HAVE A SERIES OF VACCINATIONS AND WORMINGS BEFORE THEY LEAVE US. PLEASE FEEL FREE TO CONTACT US, EITHER BY EMAIL OR BY PHONE WITH ANY QUESTIONS YOU MIGHT HAVE, OR IF YOU WOULD LIKE MORE PICTURES. WE WELCOME YOU TO ASK ALL THE QUESTIONS YOU CAN THINK OF. 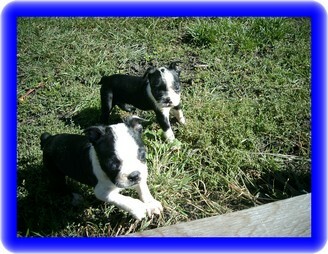 THE MORE YOU KNOW THE BETTER PREPARED YOU WILL BE WHEN YOU TAKE A NEW PUPPY INTO YOUR HOME. THANKS FOR TAKING THE TIME TO SEE OUR BABIES.